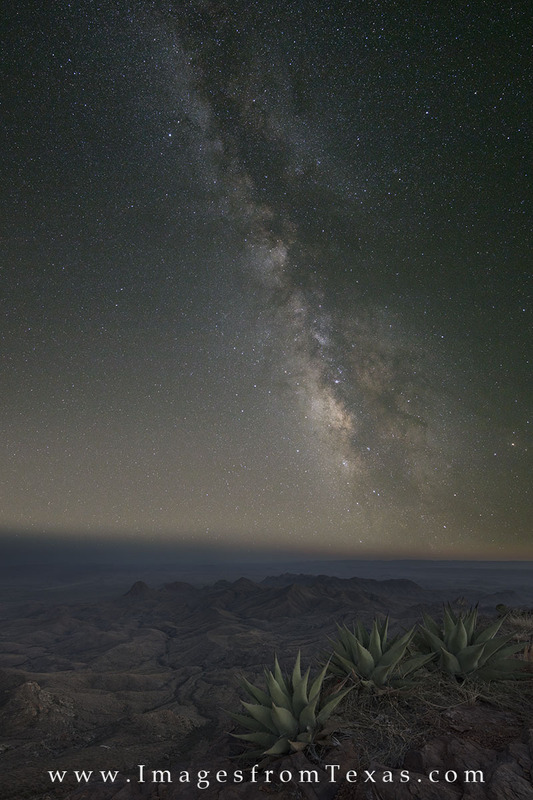 On a perfect dark night at Big Bend National Park, the Milky Way rolls across the heavens. To reach this point on the South Rim (and one of the best views in all of Texas, the hike is about 14 miles round trip. A layer of clouds hung around the horizon but the sky and stars remained clear and magnificent. In the distance is the Rio Grande, and beyond that are the mountains in Mexico. This Big Bend and Milky Way image is available in larger and custom sizes. Photo © copyright by Rob Greebon.